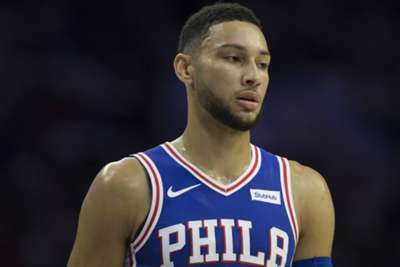 Philadelphia 76ers star Ben Simmons will not be on the floor on Tuesday. The 22-year-old will miss the 76ers' game against the Detroit Pistons at Little Caesars Arena due to lower back tightness. He did not practice on Monday and skipped shootaround before the matchup in Detroit. "He didn't feel as comfortable as we would have wanted," 76ers coach Brett Brown said. "It was just one of those things that with a back-to-back game, we're giving him the best chance we can give him to possibly play tomorrow. "We felt like it wise to sit him tonight." Simmons originally suffered the injury in the first quarter of the 76ers' 116-115 win over the Orlando Magic last weekend. He scored four points and dished out four assists before leaving the game. He averaged 15.8 points, 8.2 assists and 8.1 rebounds as a rookie in 2017-18.